Soon after ceasing hard-copy publication in 2005, permission was granted to the Herron Art Library of IUPUI University Library to digitize the 1978-2005 journal run and provide access over the World Wide Web. Permission was later extended to cover the electronic format as well. 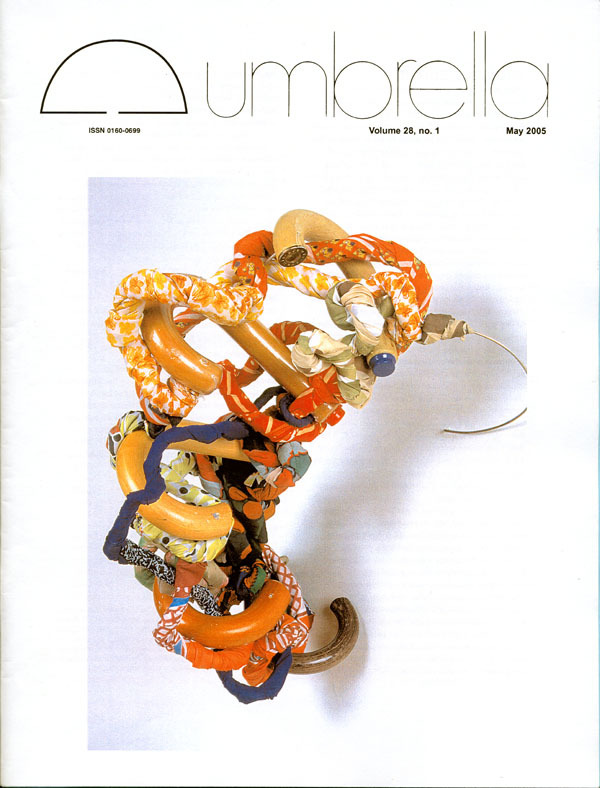 This collection contains the full journal run, print and electronic, 1978-2008. This is an important collection for the study of the genre. Online access has proved to be of great value to researchers. It is a great honor for the Herron Library to serve as a gateway to this resource and continue Judith's vision to provide access to the wealth of information provided across the collection. The library staff moved the Umbrella content into Public Knowledge Project's Open Journal System so that the journal will continue Judith's vision in an open-access environment. This collection is dedicated to the memory and important work of Judith Hoffberg.